HIT Advisory Board is not only highly knowledgeable, but is also the best connected, having been networking with professionals from industries. It is this combination which has ensured placements with top business and corporate houses. An impressive array of companies of International & National repute comes to HIT each year. Some of India’s most influential and prominent personalities are on the Board of HIT, which helps in bringing the best placement opportunities for our talented and exceptional students. 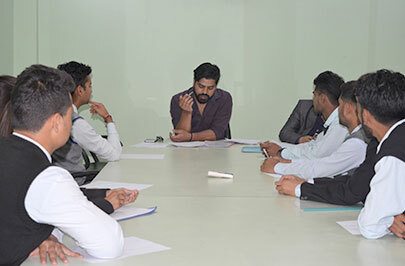 The Placement and Training Centre plays an active role in connecting with the most senior professionals and industries by inviting them to campus to bridge the Industry- Academia gap. The industry has been very kind to interact with our students through seminars, conferences, symposiums, guest lectures and has also been offering learning opportunities through short-term/long-term projects, CSR projects, live projects, networking events, industry/plant visits etc. PTC plans career guidance, counseling sessions and training programs with the help of industry and academic professionals to effectively groom and counsel students towards a bright career. The PTC maintains close contact with recruiters throughout the year and conducts numerous workshops on resume writing, group discussions and mock interviews. Our team is fully committed to attend to the individual needs of our students and the organisations for providing the right fit to both.